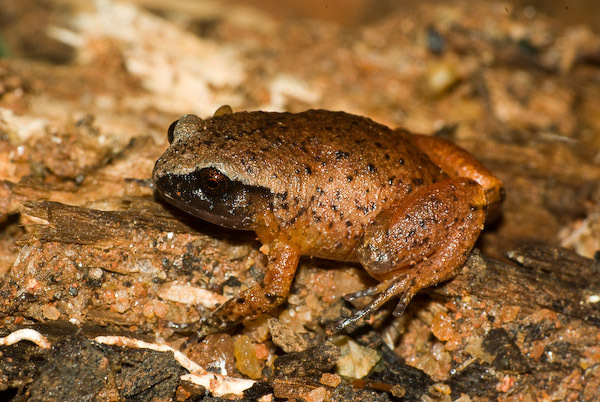 Microhylids. I have a sort of love/hate relationship going with them at the moment. 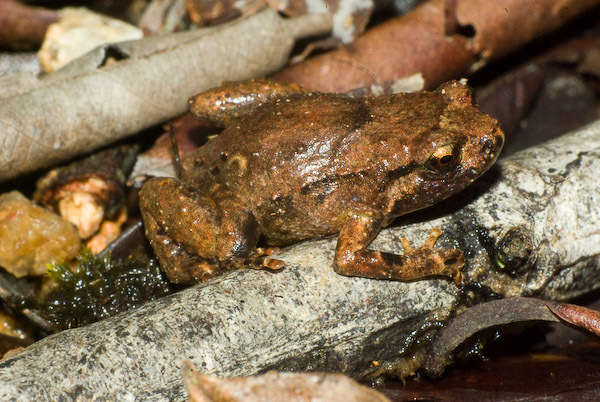 While they are quite cute, they are also terribly small, hard to find (when they're calling), and hard to identify without knowing the call. I've had some luck finding a few of the little buggers by rolling rocks and logs, so I'll have a go at some IDs. This one was on Mt Windsor, under a rock. Very nicely coloured! 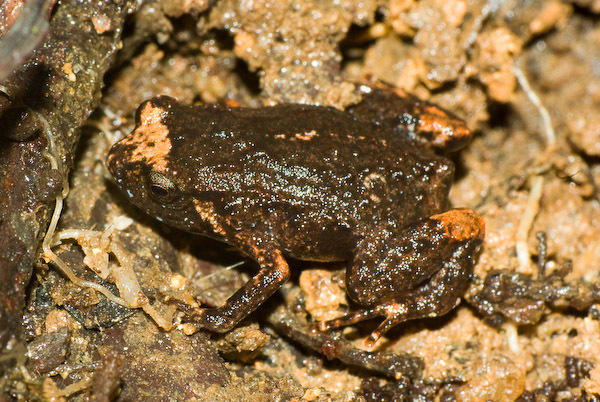 I'm going for Austrochaperina pluvialus, the Rain Whistling Frog. In the Mt Lewis area. I suspect it was a young one. 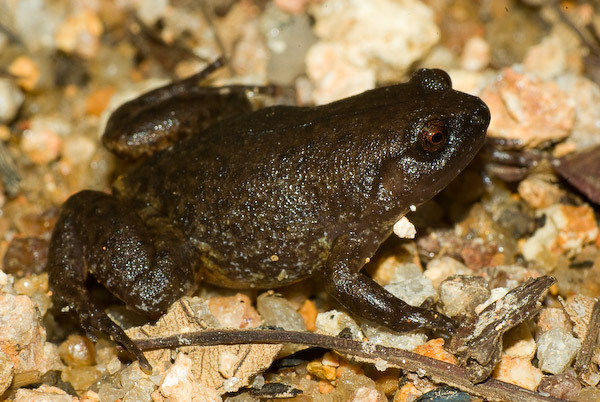 Luckily the blonde cap, elbows and ankles gives it away as Cophixalus aenigma, the Tapping Nusery-Frog. Also at Mt Lewis, probably C. aenigma again. And finally another Austrochaperina... I'm thinking it's either fryi or robusta. Hard to say which, they're very similar species.